In the late eighteenth century two subspecies of a polar bear were recognized and documented. 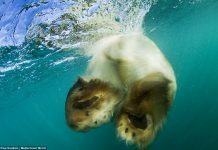 The two species were Ursus maritimus maritimus and Ursus maritimus marinus. 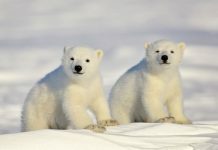 How Many Species of Polar Bears are there? 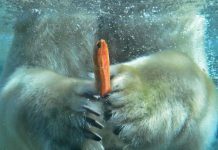 The Ursus maritimus maritimus was primarily discovered by Constantine J. Phipps back in 1774 whereas the Ursus maritimus marinus was identified by Peter Simon Pallas in 1776. Decades later, scientists did not approve the recognition and the original distinction had become undone since then. 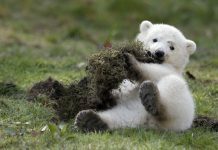 Paleontologists also unearthed the fossils of another polar bear subspecies named Ursus maritimus tyrannus which was then thought to be extinct. The then scientists also concluded that the Ursus maritimus tyrannus might have possibly died out during the Pleistocene epoch. 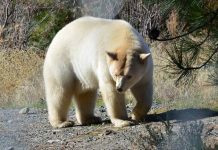 The extinct polar bear was also believed to be much greater in size in comparison to the living subspecies. Nonetheless, the modern scientists rejected any such study and claimed that the extinct subspecies actually belong to the brown bear lineage instead of a polar bear. Those were the fossils of a brown bear subspecies. 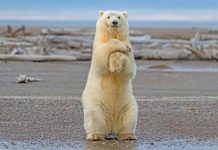 How Tall is a Polar Bear Standing Up?